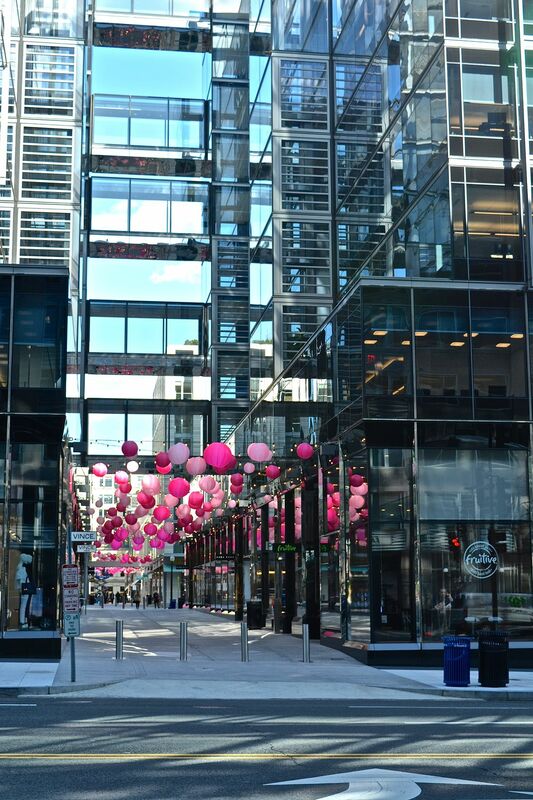 I was walking downtown on this cold spring day before the Easter holiday and noticed the pink balloons decorated along the walk -way. I was enchanted by the balance of the balloons and the color against the light and mirrors in such a natural city environment. Date Uploaded: May 8, 2016, 11:58 a.m.